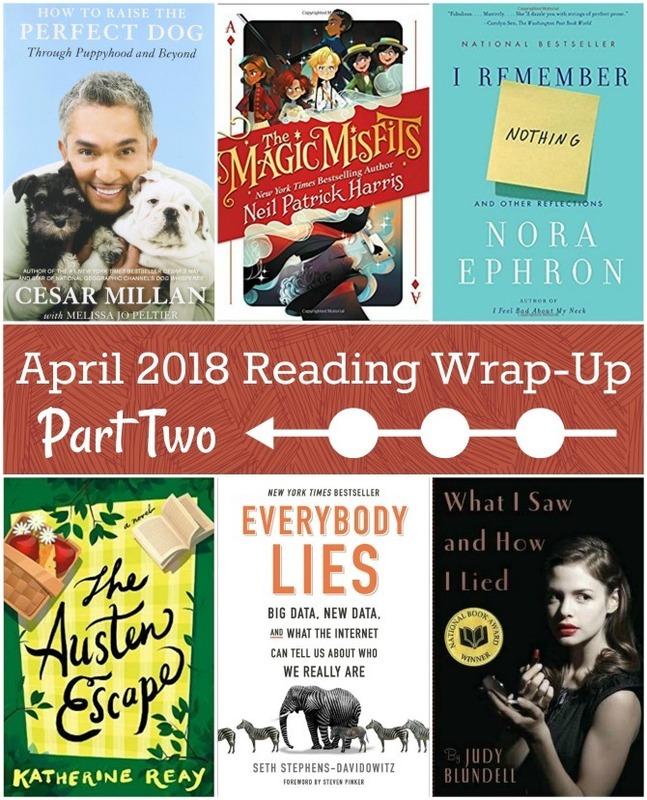 We’re rounding out Quick Lit Week with reviews of six more books I read in the last month. There are a couple of excellent books in this batch! 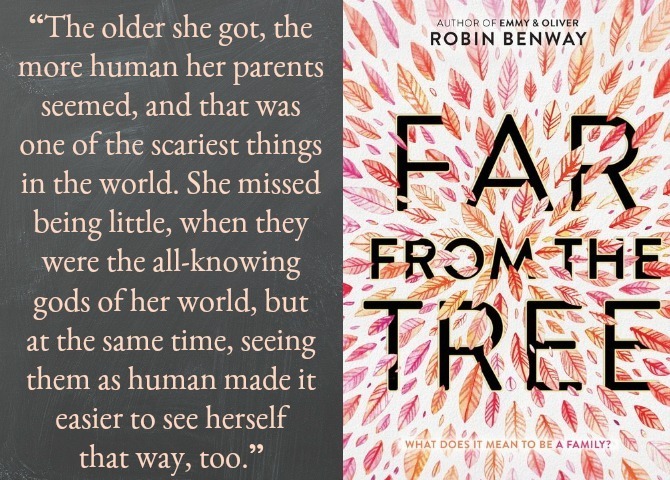 Far From the Tree, by Robin Benway: Sixteen-year-old Grace has had a happy and “normal” life as the adopted only child of two adoring parents. Her comfortable circumstances have given her little reason to seek out her biological family, but that changes when Grace gets pregnant and then gives her daughter up for adoption. Being a mom herself has her longing to know about the woman who gave birth to her. Grace discovers that she has two siblings: her younger sister, Maya, was also adopted by a well-to-do family at birth, but has always struggled to fit in with her parents and sister, who is their biological child; the girls’ older brother, Joaquin, was not so fortunate, and has spent nearly eighteen years bouncing around the foster system. The three siblings meet and quickly bond, but even as they come to appreciate the bloodlines that tie them together, they continue to hide portions of themselves from each other. Maya’s an out lesbian, and her relationship with her girlfriend is fair game, but she refuses to talk about her adoptive parents’ divorce or her mom’s drinking problem. Joaquin won’t talk about the tragedy that got him evicted from a previous foster family or his personal anger issues. And Grace doesn’t tell her siblings about the daughter she gave up. This synopsis reads like the introduction to a telenovela, but the story is well told and doesn’t feel at all sappy or over-the-top. Benway delves into the souls and struggles of the three siblings, whose stories are equal parts heartwarming and gut-wrenching. All three protagonists are likable and relatable, but my favorite character by far was Grace’s quirky yet mature friend, Rafe, who is my new role model for the teenage son I hope to raise. This is a mature book (with strong language and, obviously, very adult themes), but not a gratuitous one; Benway effectively captures the nuanced ethics and emotions involved in adoption, parenthood, and adolescence. 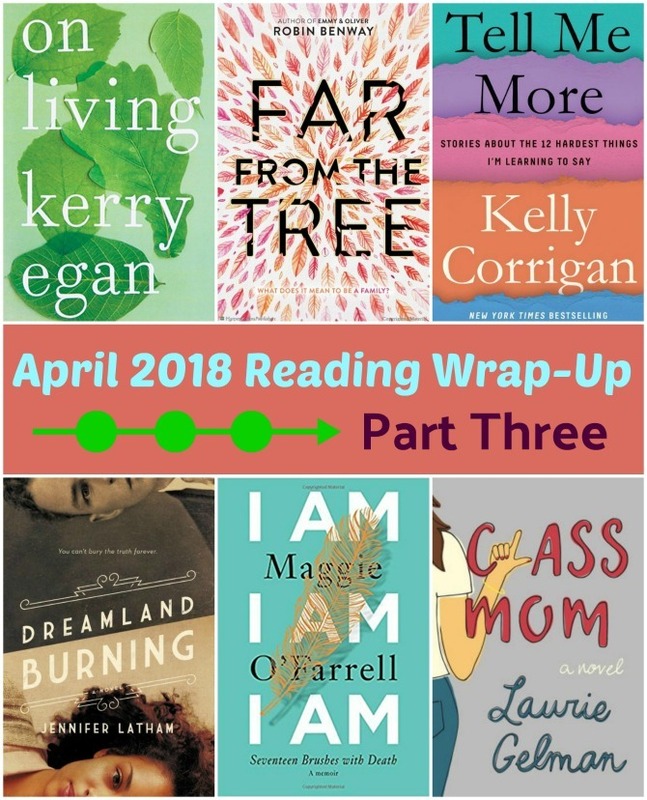 Many of these essays were directly inspired by a recent season of mourning (Corrigan lost both her dad and her dearest friend since the release of her last book). Their deaths infuse the novel with sadness and poignancy, and it is when reflecting on their lives that these essays are at their strongest. There are some attempts at humor, but those mostly fell flat for me. I also could have done without the foul language and the snark. This isn’t at all a self-help book, but it did lead me to do some reflecting on the power of my own words. Are the phrases in this book ones that I am using? Should I be? 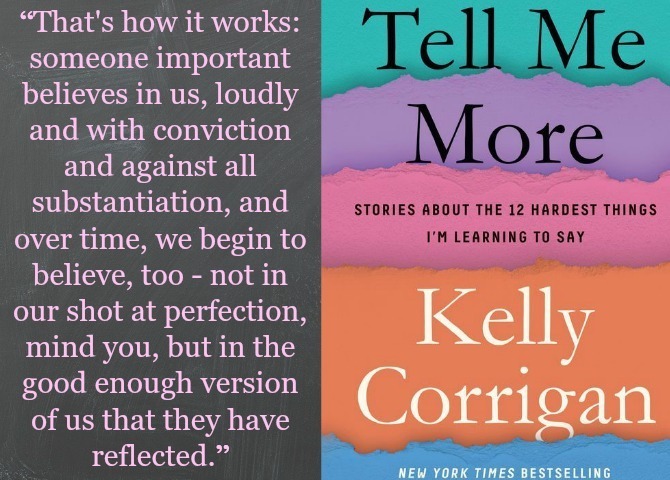 I appreciate Corrigan’s transparency in divulging the difficulty she’s experienced in mastering these lessons we all would do well to learn. 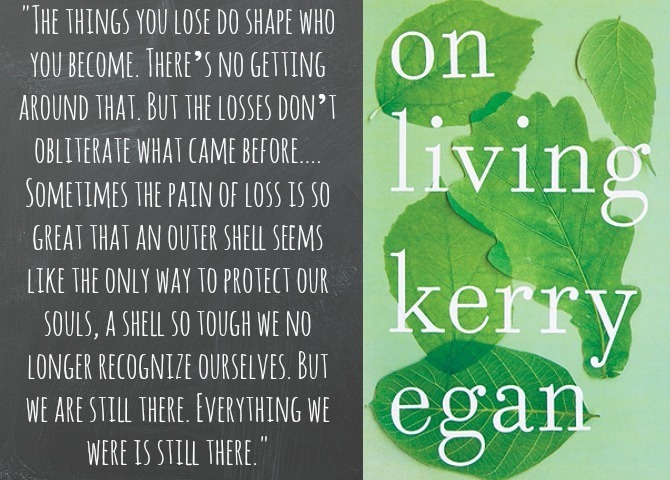 On Living, by Kerry Egan: As a hospice chaplain, Kerry Egan spends her days with people who are dying. She doesn’t offer prayers or advice; she simply provides comfort. And she listens. Through years of listening, Egan has accumulated many stories and insights—some humorous, some shocking, some profound. 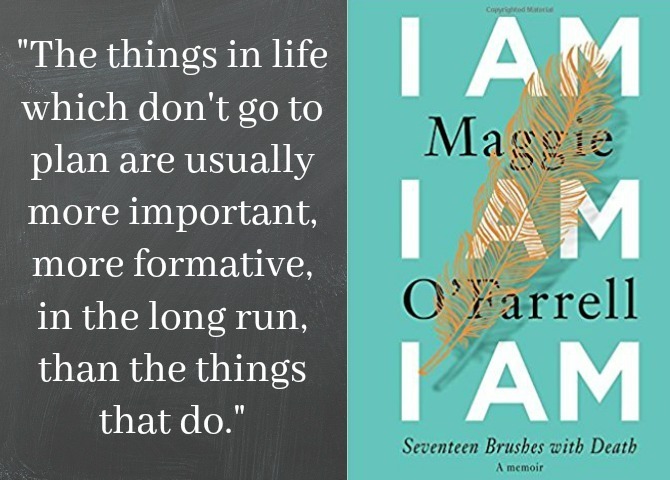 In On Living, Egan shares those stories with us. This might seem like a morbid premise, but Egan’s tender and compassionate storytelling is infused with hope and inspiration. Her writing is warm, comforting, accepting—just what one would expect and hope for from a chaplain. Egan’s examination of her patients’ experiences is sparse, leaving many of her stories open to interpretation. (I mostly liked this, although at times it became a bit too New Age for me). This isn’t just a collection of stories. At its heart it’s a memoir, and Egan spends some time extracting personal meaning from her patients’ words. 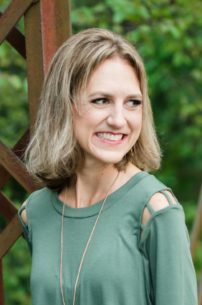 It was beautiful to see her discover redemptive purpose from her own tragic experience with postpartum psychosis. 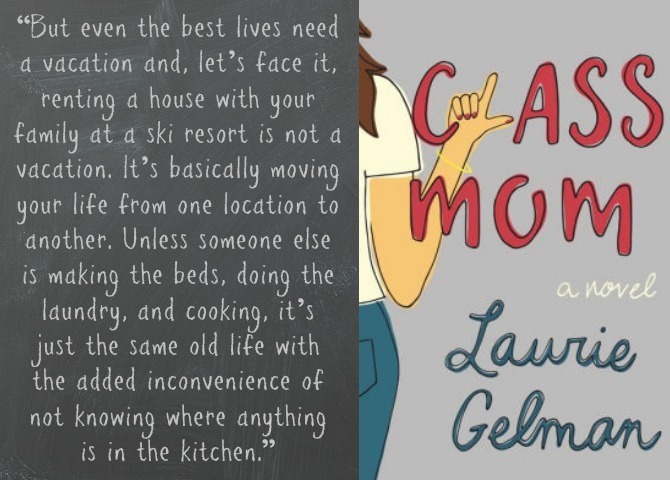 Class Mom, by Laurie Gelman: Jennifer Dixon has two daughters in college; she’s been around the block a few times in this parenting gig. So when her son enters Kindergarten and her best friend (the PTA President) asks Jen to lend her wisdom and experience to the role of Class Mom, she reluctantly agrees. But from her first snarky email, Jen’s fellow class parents quickly realize she isn’t your typical Kindergarten mom. Some balk at her unconventional approach to the job (which involves timing parents’ email response time and making requests for booze and special brownies for the class parties); others can’t wait to be her friend. Over the course of the year, Jen navigates the drama that is Kindergarten with irreverence, hilarity, and surprising grace. I’ve read a lot of heavier, poignant memoirs lately, so this fluffy book was a fun way to switch things up. Some of the story threads had me rolling my eyes, but having been a teacher (and witnessed the field of class parents from that perspective), many aspects of this book (even the tawdry ones) were more believable than I’d care to admit. I really enjoyed the character of Jen (a literary dopplegänger for Lorelai Gilmore) and her narration literally had me laughing out loud. Dreamland Burning, by Jennifer Latham: Seventeen-year-old Rowan Chase is anticipating a boring summer working at the internship her mom has lined up for her. But her summer quickly takes a turn toward excitement when the remains of a skeleton are discovered beneath the floorboards of the old servant’s quarters on her family’s property. Rowan and her best friend James become consumed with determining the identity of the body. In alternating chapters, we hear from Will Tillman, a misguided teen struggling to navigate the racial tension that dominates Tulsa society in 1921. When the local branch of the KKK goes on a rampage against the town’s black citizens, Will must decide where his loyalties lie—and the outcome will almost certainly be deadly. 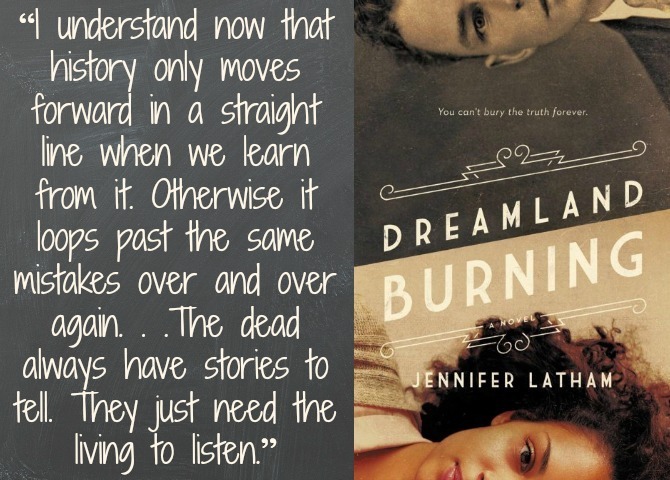 This is a challenging novel that faces racism head-on; through stories past and present, Jennifer Latham paints a vivid picture of the atrocities that have occurred and are still occurring as a result of race prejudice. The two plotlines play well with each other, driving the story forward and joining nicely at the end. The mystery adds intrigue to the story without in any way detracting from the important themes. The novel’s only big drawback is the character of Rowan (the present-day protagonist/sleuth), whom I found self-centered, immature, and willfully ignorant. I understand that the author wanted to convey the challenges faced by a biracial teen, but her path towards self discovery was too angsty for me. On the flip side, I loved the character of Will, who is flawed but still sympathetic. This is a YA novel, and I was happy to see a book for teens that is both entertaining and also very educational. We need to be having more discussions about these harder issues with our youth, and books like these provide a great place to start. The chapters in this book are named for the parts of O’Farrell’s body that were most in danger during each near-death experiences: cerebellum, neck, bloodstream, daughter. Not every essay struck a cord with me, but those that did truly hit home, evoking the most guttural of responses, and leaving me breathless. I was particularly struck by the poignancy and passion with which she describes her miscarriage, her infertility journey, and the daily torture of seeing her daughters’ pain. O’Farrell is an exquisite writer, conveying enormous themes without sacrificing the immediacy and drama of the current story. The essays are not chronological, and their unique order is itself an effective storytelling device. This memoir stands well on its own, but I appreciated it even more having recently read This Must Be The Place (my favorite novel so far this year). The specificity and emotion with which she conveyed some of her characters’ struggles in that book tipped me off to the fact that she must have personal experience with those issues, so I was not at all surprised to see them turn up in her own journey. I’m looking forward to reading more of O’Farrell’s novels, and looking for echoes of her own story. And I’ll certainly think differently of my own nearness to morbidity after this. Read any of these books? I of course want to know what you thought! 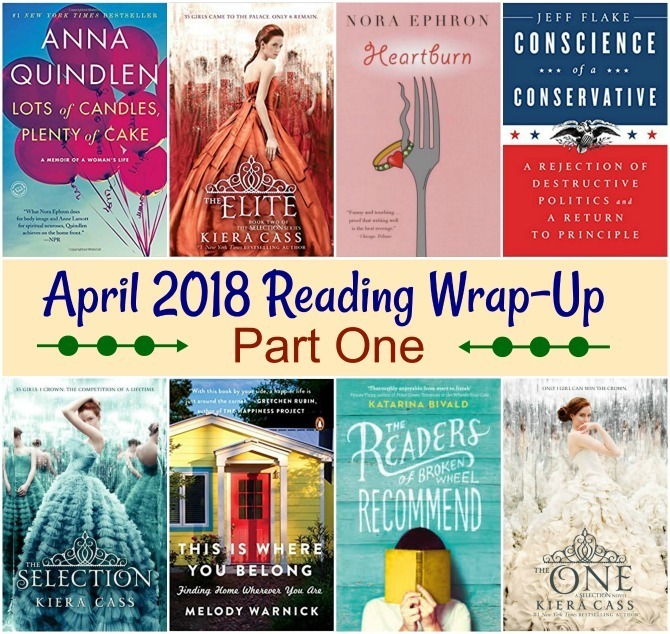 I’m linking up with Modern Mrs. Darcy to share what we’ve been reading lately. If you’re here from the linkup, thanks for stopping by! Be sure to check out Part One of this month’s reviews. . .
. . . As well as part two. What’s the best thing you read this month?